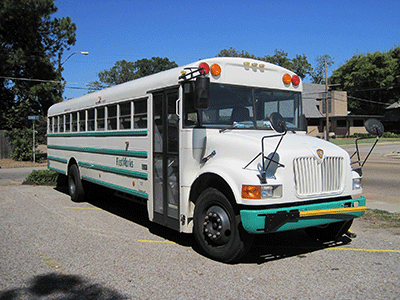 Your church or temple needs to have reliable vehicles whether it is help congregation members, church staff, or kids in the church or temple school. From vans and buses to trucks and cars, a church or temple often has a small fleet of vehicles that are important to that house of worship. However, what can happen is that these vehicles are used but not necessarily tracked for maintenance. Busy schedules, minimal staff, and tight budgets mean vehicle care is an afterthought. Just because a vehicle is working now does not mean it will keep doing that. These reports and records are important because they help your church or temple to be proactive before breakdowns occur. You do not want that bus breaking down on the way to church camp! The lack of record keeping could lead to more money being spent than necessary on these vehicles and when the budget is most likely already tight, this should be avoided at all costs. Even if you have someone tracking some of this data, it is not as complete as it could or should be, especially if those driving the vehicles have not been regularly updating the information with the temple or church office staff. Manual record keeping takes a lot of time and often falls victim to human error. Automating the process of managing your fleet of church vehicles or temple vans does not have to be expensive or complicated. That's because the current use of cloud-based technology provides an effective, low-cost, and user-friendly way to address the challenges and create a more efficient process for safe, reliable, and greater value vehicles. Cloud-based solutions put you in control of the data by making it available anywhere at any time so anyone can see updated information about each vehicle on the road or in the office. Relevant and current data means that you can make better decisions and proactively address issues that you may not have noticed otherwise with manual records that are incomplete or inaccessible. While manual and computer records can be damaged or lost from human error, floods, fires, theft and other unexpected events, you can be confident that your data will be available when you use a cloud-based system. Data integrity is heightened because it does not rely on hardware or software. Cloud-based systems are scalable and will grow with you and operate efficiently no matter how many vehicles you have in your fleet. You can also share the data in this cloud-based system with others on their devices and by integrating that information in other programs. There are certain programs that also offer GPS functionality that allows for tracking and to help by offering ways to identify alternate routes to a location. For a church or temple, these additional benefits provide additional value without costing more money not to mention help address all the issues without having to add more support, resources, or training to achieve the same results. Look for a solution that is easy to use and get up and running quickly with user-friendly functionality rather than needing to ensure everyone has training. You may need a certain level of data analysis to make the right decisions about your fleet so make sure the technology can address those data analysis needs. While you may only have a few vehicles now, your church or temple is most likely growing so you need to know that the technology will grow with you rather than requiring that you have to make additional investments and changes to your record keeping in the future. You may or may not need GPS tracking and functionality so you will need to ensure that this is something you can get now or in the future from the solution you select for your church or temple. Integration with other software you use is important because it means you can download or upload different data points and use it across platforms to accomplish more with less technology and people. Also make sure it is something that does not require significant downtime in order to install. You want something that you can gradually add and make changes to so your church or temple operations are not interrupted. Once you determine what technology works for you, it's time to make the change and focus on a proactive approach to managing your church or temple vehicles. From there, you will start to see the advantages in real time to how your fleet can continue helping you praise while also ensuring safety, reliability, and value along the way.